Flavorful melt in your mouth steak with perfectly season sweet onion, and cheddar melt in your mouth thanks to the secret ingredient in these Steak, Onion, & Cheese Baked Wonton Cups. We are Heluva Good!® Ambassadors. All tasty views expressed are that of our own. The game day season is in full swing. Sundays are laid back, lounge days where we actually enjoy the comfort of our couches and graze on delicious appetizers and quick meals. I have began to appreciate game days much more now that I am an adult because it is a chance to actually unwind, and enjoy good food, and company. Around here, no game day is complete without yummy foods that we save Sundays. We try to eat more balanced during the week so we can indulge a little on game days and it seems to be working out. This past Sunday, I made the tastiest appetizer/lunch ever. 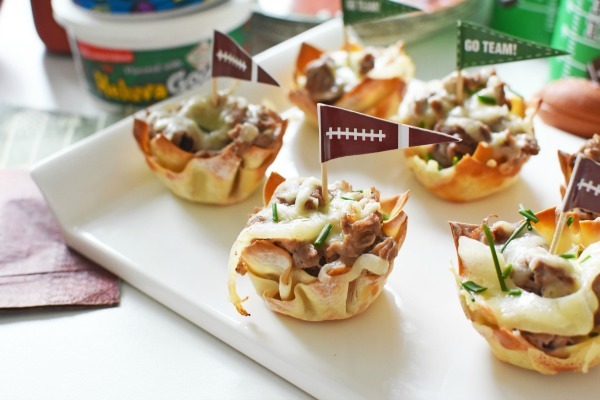 Steak, Onion, & Cheese Baked Wonton Cups anyone? These wonton cups are probably the tastiest version of a wonton-based appetizer I have ever made. They were quite easy and produced the perfect wonton crunch, and tongue-tantalizing flavors all while being finished off in the oven. 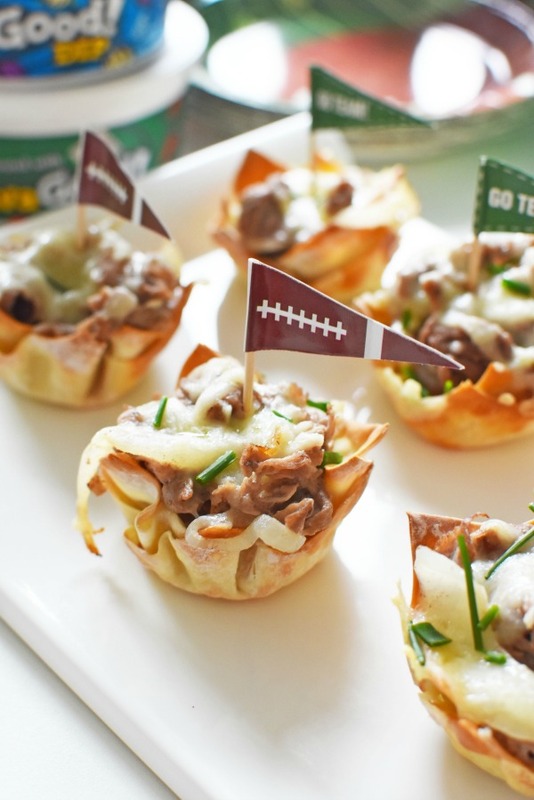 If you are a steak and cheese fan, you will LOVE these baked wonton cups so much! 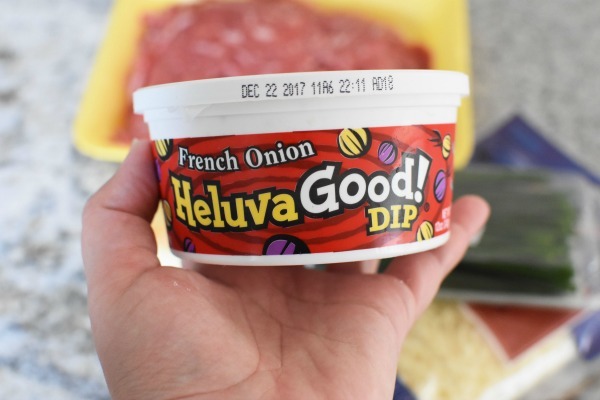 They are extra flavorful and juicy (no one likes dry steak) thanks to the finishing touch of Heluva Good!® French Onion Dip. 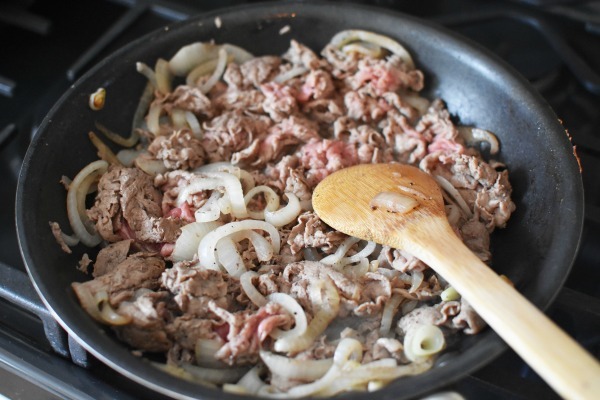 Right after I finished frying the meat and onions, I stirred in half a cup and the steak took on even more flavor. 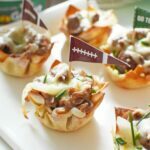 These Steak, Onion, & Cheese Baked Wonton Cups are a party in your mouth and perfect for game day! 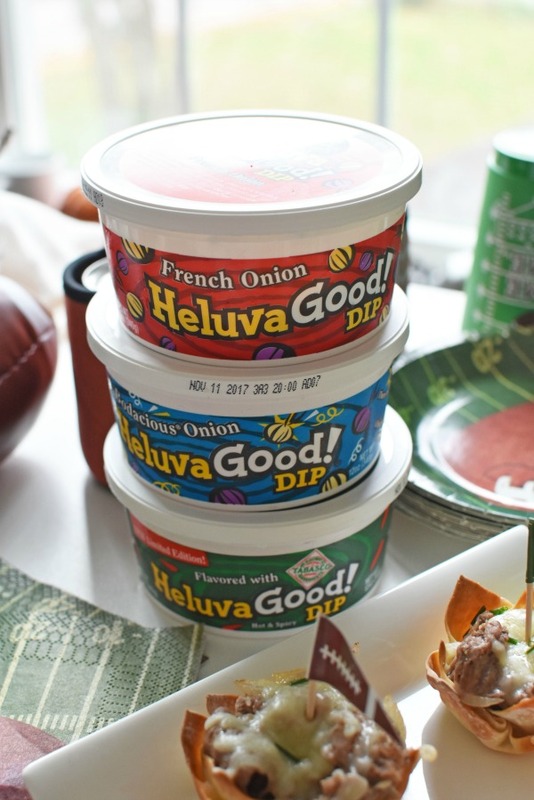 Actually, any flavor of Heluva Good Dip!® is ideal for game day! We enjoyed the Bodacious Onion, French Onion Dip, and the TABASCO® Brand Heluva Good!® Dips. These dips pair well with chips, veggies, crackers or used as recipe ingredients like this case. The almost bite-sized steak and cheese appetizers were so good my kids even enjoyed them. I totally need to make these again for the next game day or maybe even parties. They are sure to be a hit with your family as well! 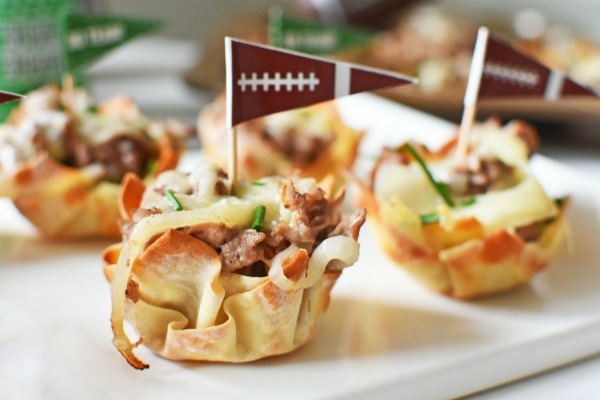 Get the printable recipe for these Steak, Onion, & Cheese Baked Wonton Cups below! 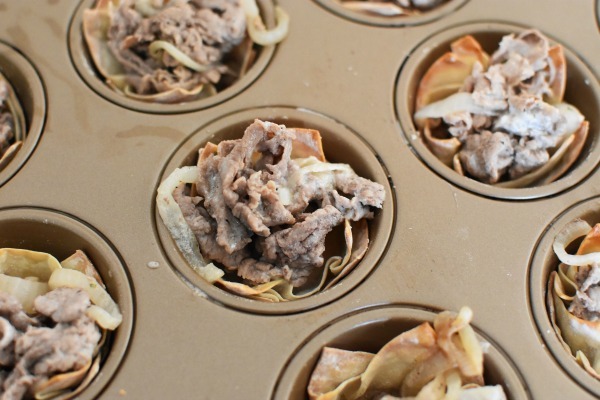 Steak, Onion, and Cheese Baked Wonton Cups. 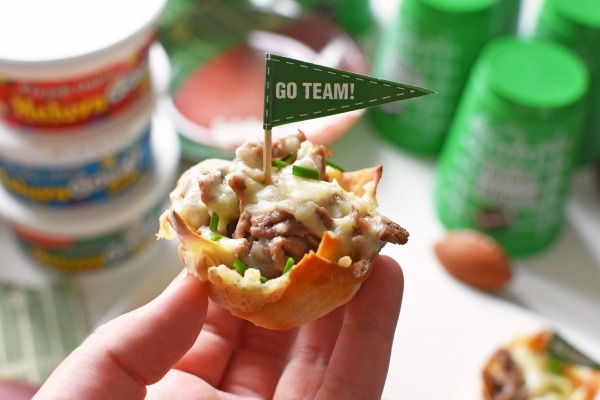 Flavorful melt in your mouth steak with perfectly season sweet onion, and cheddar melt in your mouth thanks to the secret ingredient in these Steak, Onion, and Cheese Baked Wonton Cups. Heat oven to 350 degrees. 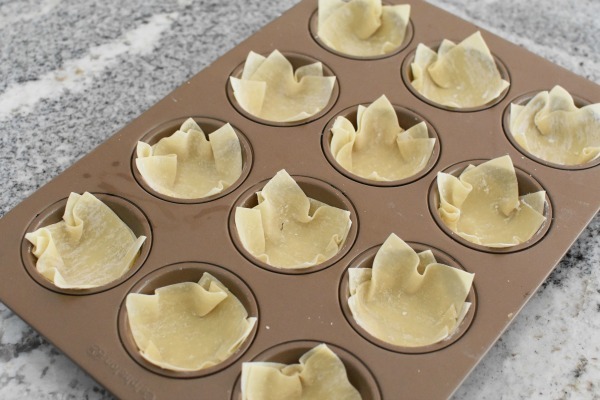 Add two wonton wrappers each to ungreased muffins tins, and bake at 350 for 5 mins. 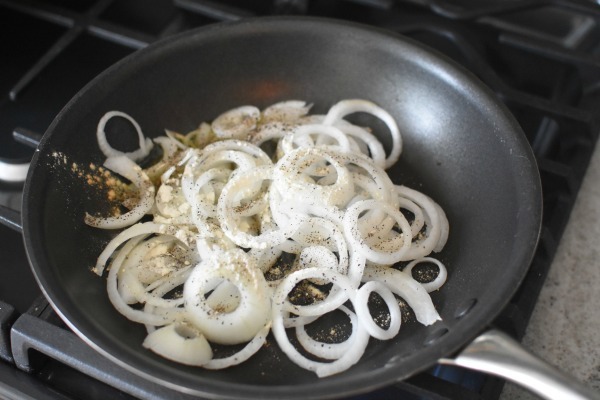 In a medium-sized frying pan add your olive oil, onion, and spices for 2 mins over medium heat. 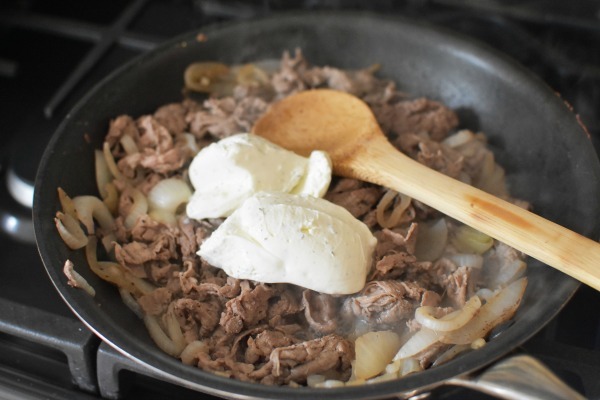 Add in your shaved steak and cook for another 5 or so minutes until steak is light brown and no longer pink. If your steak is fatty, drain extra grease. Add Heluva Good! 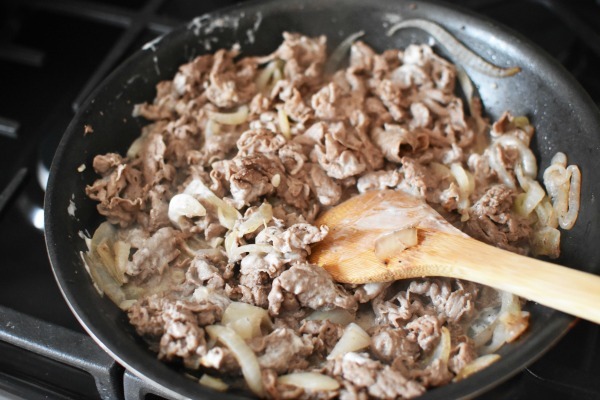 French Onion Dip to the pan and stir well. 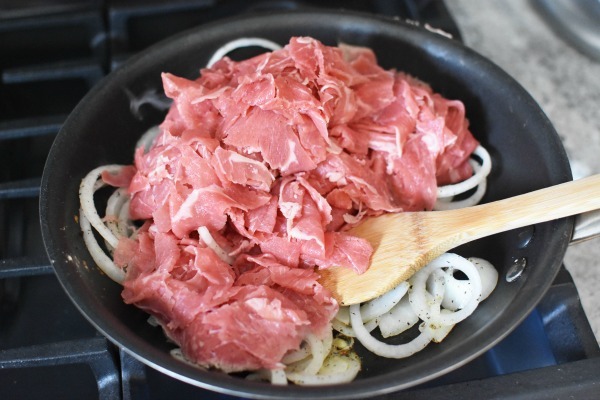 Fill wonton cups with steak, and onion. Top each with a little cheese. Return to over at 350 for 3 minutes or until cheese is melted. Sprinkle with chives and enjoy warm. To reheat, pop them in the toaster oven for 2 minutes. Previous Post: « Tangy Honey Mustard Recipe: Perfect for Tyson Crispy Chicken Strips! 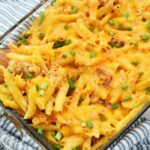 We have people over to watch the game a lot and these are PERFECT to serve on game day. I KNOW they would be a huge hit. OMG! It’s not a Philly Cheese Steak, it’s a Japanese Cheese Steak! I must have these in my life! Om nom nom. That looks amazing! It is always good to have a whole arsenal of appetizers for Thanksgiving or game day or really any party. These look so good that I can’t wait to try them. What an awesome looking app for game day! I want to try these for my friends! What a fun appetizer! I love the wonton idea and so need to try this! These sound like something my husband would love. Who doesn’t like steak and onions? 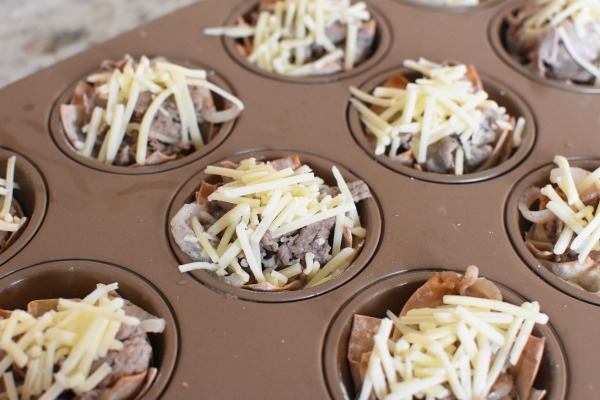 I am looking forward to trying these Steak, Onion, & Cheese Baked Wonton Cups. 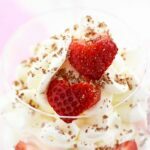 I will have to pick up the ingredients I need to make some this week.I am sure they will be a big hit. Oh yum! These definitely look like good appetizers. Bringing them out for game day is a great idea! Those sound amazing. I love wontons. I’ve never made any like this before though. Yum! 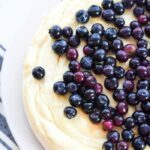 That looks like such a delish & fun snack that is filling and would be fun to serve this fall at both kid and adult parties. Your addition of the football pic also makes this a great idea for tailgaters and football watching parties at home. Adding that dip sounds like a game changer for how the steak would taste. I think it’s a brilliant addition to the recipe. My guys would definitely love to try these out for game day. Oh my gosh, yum! 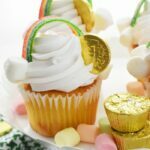 Those look awesome … and so easy too! I’m definitely trying these for our holiday party! I love onions so this sounds so yummy! 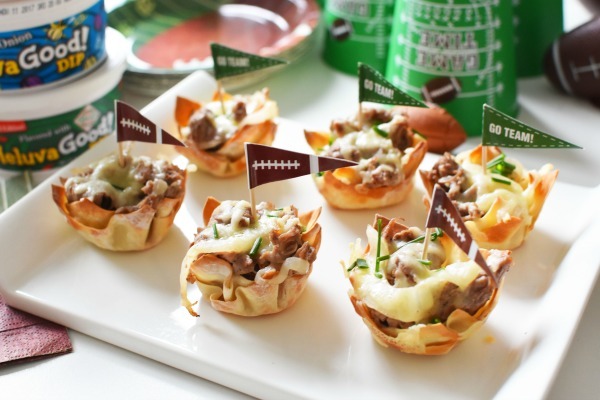 What a great appetizer for a holiday party or a football party. These look really good! No doubt this will be a hit for game day! 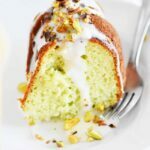 I would love to try this version but with chicken and cream cheese. Also, why no spray on the tins prior to baking the cups? I never use spray because these do not stick. Also, You could do that too. It is good-I have tried it with that.